It’s become a tradition to see Peter Parker’s first makeshift attempt at his classic Spidey suit in the Spider-Man movies. Like it did with everything else, Spider-Man: Homecoming gave that trope a bit of twist, though, by having Peter lose his proper suit during the film and have to go back to the old one for a time. It was a nice development, as it forced the hero to use his own skills and it gave us the opportunity to get a better look at this homemade costume. The design of it could have been very different, however. Ryan Meinerding – concept artist and head of visual development for Marvel Studios – has posted an early version of the suit he came up with on Instagram. Seen below, comic book fans will immediately notice that this is pretty much a perfect replica of an already-existing Spidey suit. As Meinerding mentions in his caption for the image, the suit is based off the outfit worn by the Scarlet Spider in the comics. Though it’s not sported by Peter himself, it’s donned by his clone Ben Reilly, who goes by the vigilante moniker of the Scarlet Spider. It’s a safe bet that fans would have loved to have seen this suit on the big screen, though the eventual look we got was still solid. 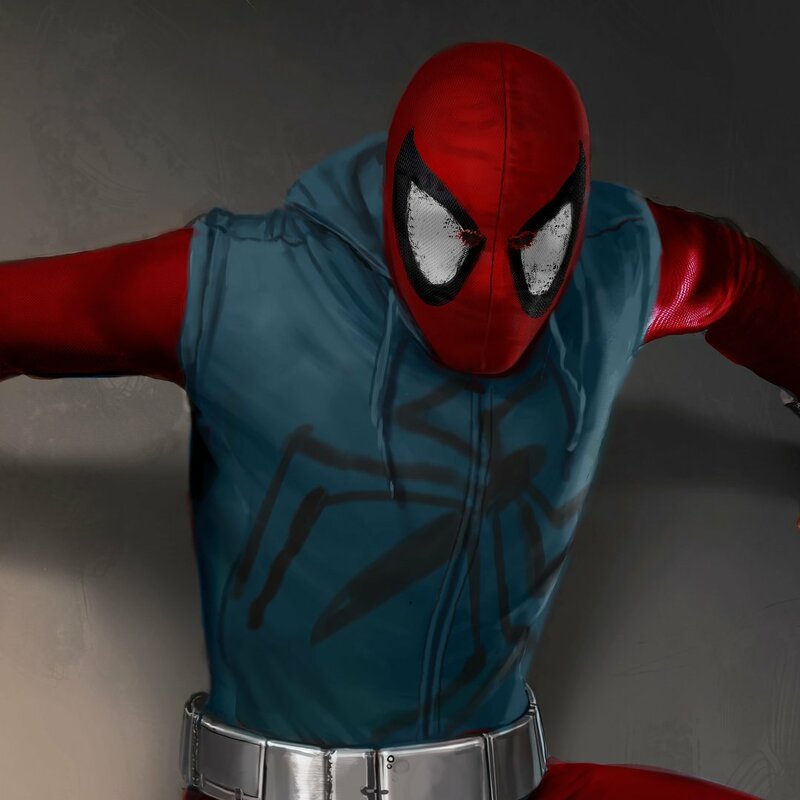 It also retained a little of the Scarlet Spider’s influence through the inclusion of the hoodie. Spider-Man: Homecoming is now playing in theatres worldwide and if it’s more coverage you’re after, be sure to check out our easter eggs guide!